If motor oil is the lifeblood of an engine, then the oil pump is its heart. are a great solution for worn out or destroyed stock units. Common causes of stock pump failure are debris and excessive pinion shaft run out. The S&S TC-3 oil pumps are much less likely to be damaged by either. They pump and scavenge way more oil than stock. Pumps feature three stages for consistent pressure and reliable scavenging, separate scavenge sections for flywheel cavity and cam chest without interference, and screens and magnetic traps to help protect the scavenge rotors from debris. The S&S design tolerates more pinion shaft run out without damage. 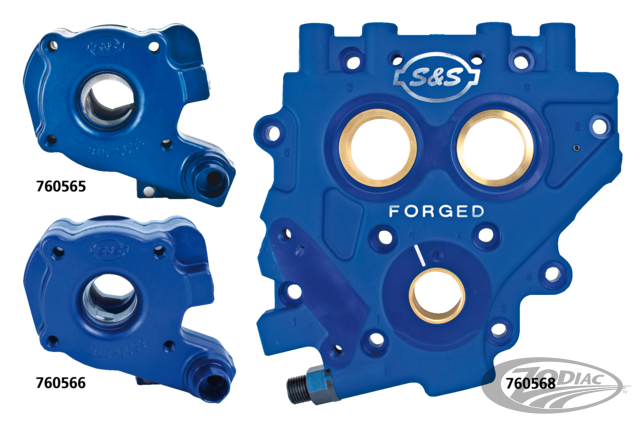 As you have that motor apart anyway it would be a good time to install a new S&S TC3 forged cam support plate too. Recommended Retail Prices exclude sales tax.